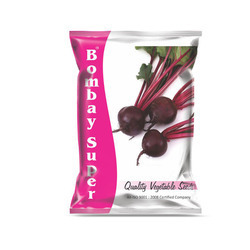 These Organic Beetroot seeds come from the serene environments of Uttaranchal. Grown far away from the hustle bustle of towns and cities, these seeds are free from even pollutant impurities, let alone pesticides, insecticides, etc. Specification: Bushy vigorous plant with broad leaves, pink mildred. Roots are crimson red color, 150-160gm in weight. Roots are round in shape, uniform, smooth shouldered with very small tap root. An early maturing hybrid is suitable for storage. We are a reputed entity in the industry, actively engaged in offering an optimum quality range of Beetroot Seed. 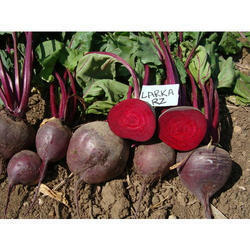 We have earned a sterling reputation in the industry for supplying and trading Red Beetroot Seeds - Larka. Features: Good for both fresh market and processing. Pack Size: 50 gm, 100 gm, 500 gm. Backed by years of industry experience, we are engaged in offering a premium quality range of Beet Root Seed.